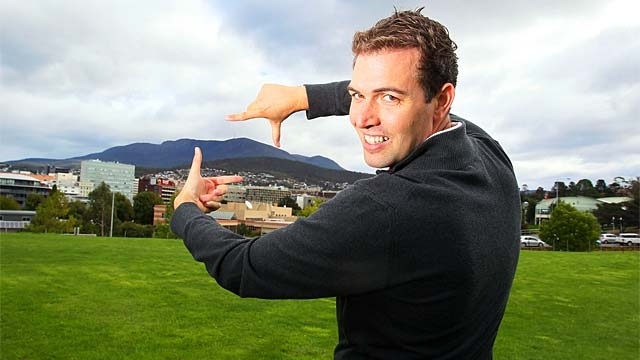 THE man behind the proposal to build a cable car on Mt Wellington has cheekily registered the internet domain name kunanyi, which is the Aboriginal name for Hobart’s majestic mountain backdrop. The move is sure to raise eyebrows and, in some cases, cause upset as the Aboriginal community has said it is opposed to a cable car development. Adrian Bold, who is campaigning for a cable car, registered the Aboriginal name after the State Government on Wednesday announced kunanyi as a dual name with Mt Wellington. Anyone entering the internet address www.kunanyi.org or kunanyi.com or kunanyi.net is automatically redirected to the Mt Wellington pro-cable car website. The Tasmanian Aboriginal Centre last week expressed opposition to the cable car plan for the mountain, which is a sacred site. “We’re very glad the Aboriginal community has settled on a single name, there have been about three indigenous names floating around from different tribal origins,” Mr Bold said. “We’d be very happy to replace Mt Wellington as a single name. He said he had been waiting for a meeting with the Aboriginal community and wanted to work with them as well as offer better indigenous interpretation on the mountain. “The Duke of Wellington didn’t even set foot in Tasmania, it’s been called Table Mountain, Skiddaw and other things,” he said. However, Aboriginal Affairs Minister Cassy O’Connor said to use the name without consultation was wrong and disrespectful. “The pro-cable car group have no right to use the name kunanyi to promote their agenda, which is in direct conflict to the stated views of Aboriginal community leaders,” Ms O’Connor said.